When out in the wilderness, bear defense comes into play and the guns and gear you choose could be the difference between life and death. It should be noted that as with any firearm use, you are only as good as your training and how much you practice. Big-bore revolvers were the gun of choice in the class, and the .454 Casull was a definite favorite. 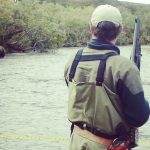 In Alaska, there is always a chance of crossing paths with a bear that may be having a bad day, especially if you’re a hunting and fishing guide. 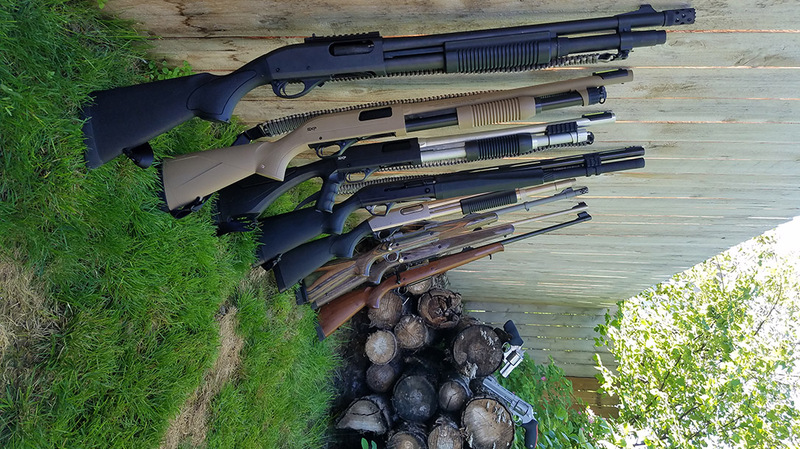 Although most any shotgun will work in a pinch, those who carry for bear defense favor tactical models with shorter barrels and extended magazines. 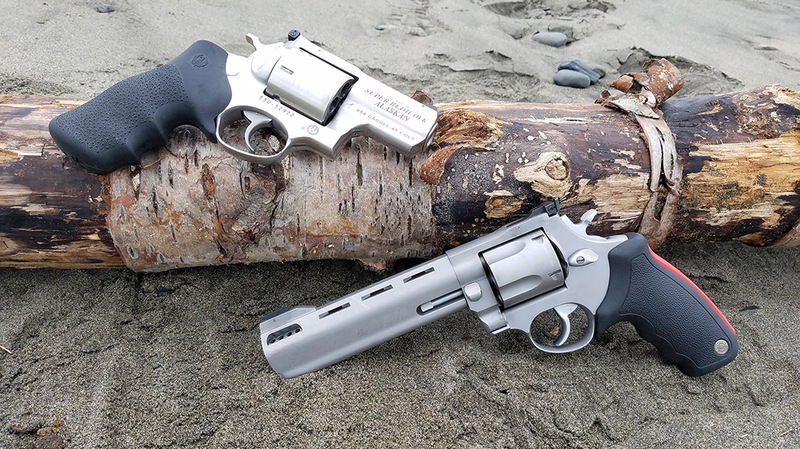 For handguns, there is no doubt that the Ruger Super Redhawk Alaskan in .454 Casull is the belle of the ball for most Alaskans. 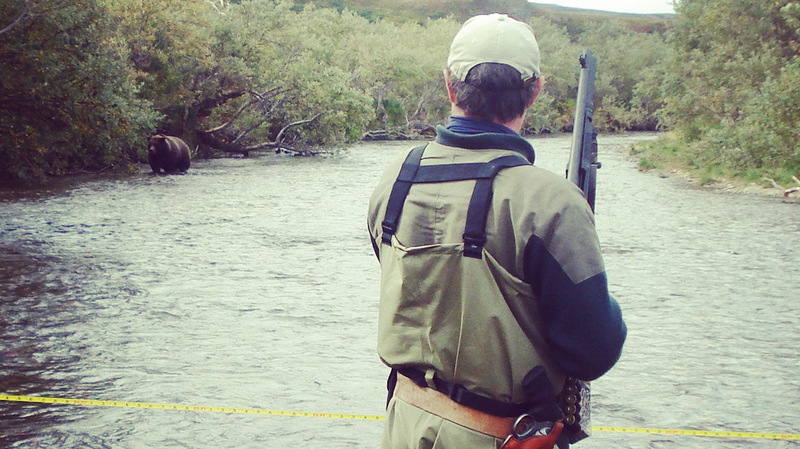 Bear defense plays an important part in Alaska because bear attacks, as expected, are common. In 1978, Cynthia Dusel-Bacon, a geologist with U.S. Geographical Survey, was severely mauled by a black bear in the Yukon wilderness. She didn’t have a firearm with her at the time, and she lost both arms as a result of the attack. 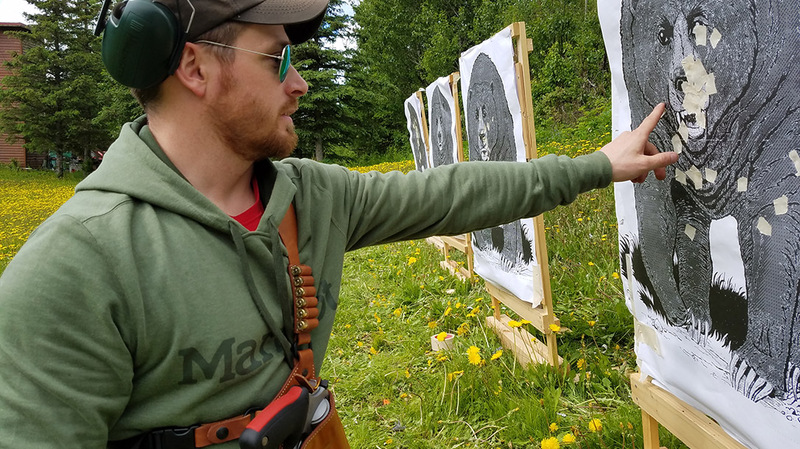 Steve Nelson of Anchorage was a co-worker of Dusel-Bacon at the time, and the attack prompted him to create and begin teaching a class on bear awareness and self-defense. Now Nelson has taught hundreds of students in state and federal agencies, private companies and the public sector. In addition to hunting big game over much of the planet, Nelson has had occasion to shoot four bears, three blacks and one brown, in defense of life and property (DLP) situations. 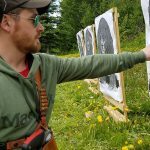 Last summer I got an invitation to attend one of Nelson’s classes from Sam Naramore, an Alaska DNR employee whom I met at a Gunsite Academy shotgun class. I spent a week in the bear defense and awareness class with Naramore, Nelson and others from several federal and state agencies. 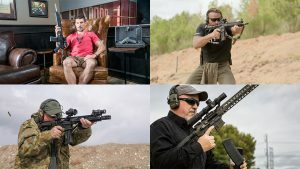 Here is what I saw in the class in terms of firearms and gear to use for bear defense. Generally, I dislike picking one firearm and stating it is the “best” for any one job. I will say the Remington 870 shotgun is the most carried weapon for bear defense in Alaska at this time. Again, most of the people who have need for this kind of weapon want a tactical-style shotgun with a short barrel and an extended magazine. They also want some type of sight on the gun; ghost-ring sights are popular here. A sidesaddle to carry extra ammo is a welcome addition. I also saw a Mossberg 500 ATI Scorpion used in the class, as well as a Benelli SuperNova pump gun. 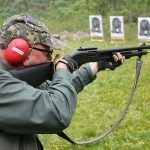 For those who want a rifle, the Ruger Guide Gun in .375 Ruger is very popular, as is the Mossberg Patriot rifle chambered in the same round. A surprise, to me at least, was how well the CZ Safari Magnum rifle in .375 H&H was received. 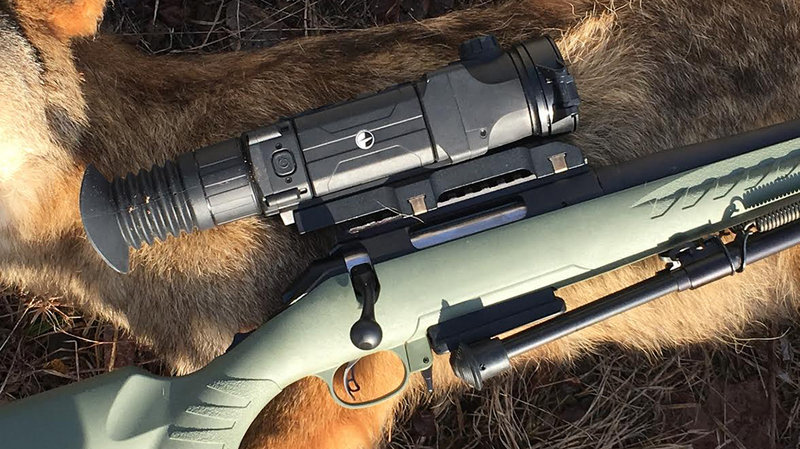 This is a beautiful rifle that holds six rounds, more than most bolt guns in this class. 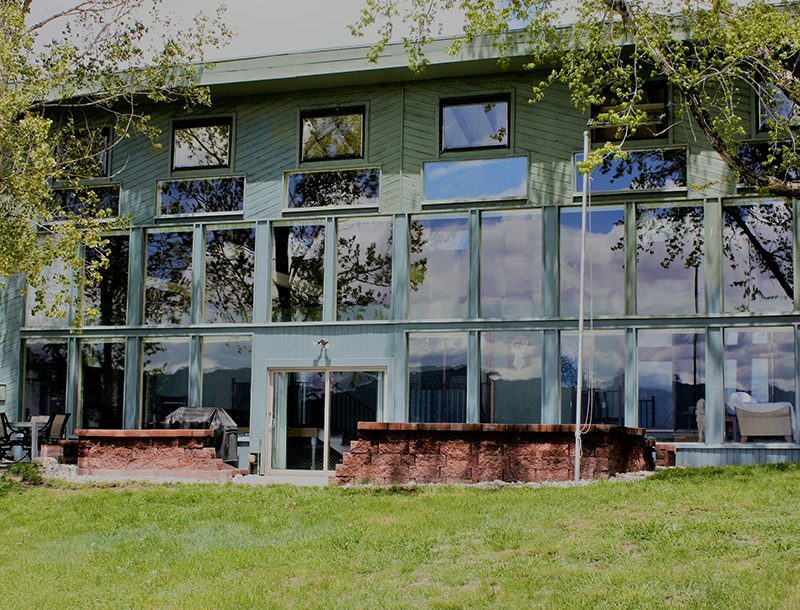 Those who venture into bear country liked this feature. For those who want to pass on the recoil of the .454, the Ruger Alaskan also comes in .44 Magnum. Also seen in the class was the Taurus Raging Bull revolver in .454 Casull. 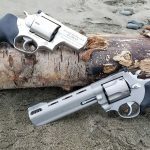 We shot a Raging Bull with a 6.5-inch barrel, but the Taurus is also available with a 2.5-inch barrel like the Ruger Alaskan. 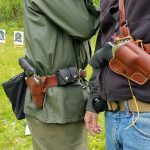 A good sling is essential for long guns, as you will always carry a firearm more than you will shoot it. 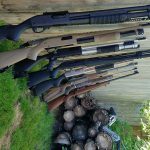 I used the Gunsling by Sure-Shot Game Calls, and it worked like a charm. This sling is made from mil-spec paracord that would have many uses in a survival situation. 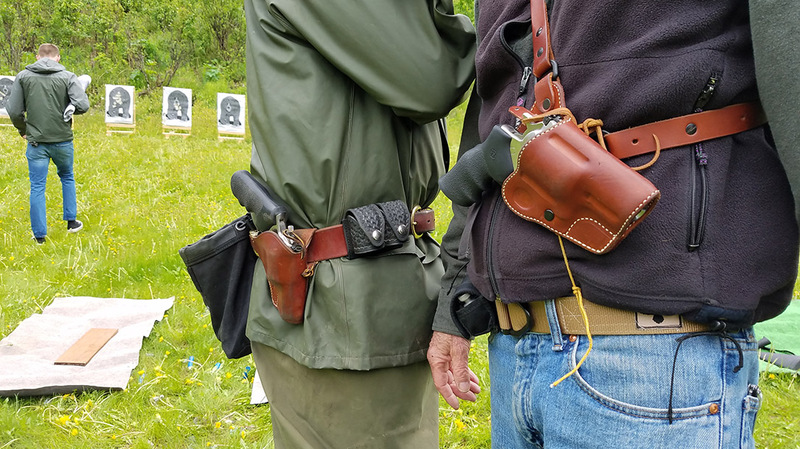 Alaskan company Diamond D Custom Leather supplied an excellent holster for the Ruger Super Redhawk revolver, and Galco sent a holster for the impressive Taurus Raging Bull in .454 Casull. 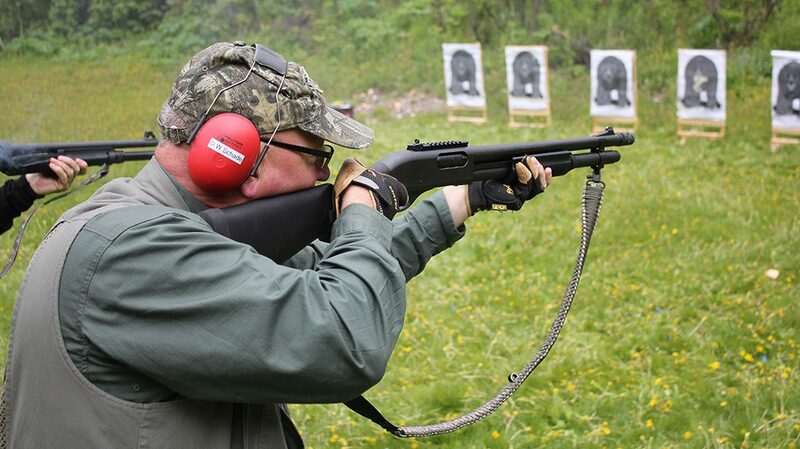 The students in this class fired dozens of Federal Premium shotgun slugs, and I saw no problems. The guns functioned every time. Some of the Alaskans in the class carry Brenneke slugs for confrontations with bears. A new star on the horizon is the solid- steel DDupleks Steelhead slug. This slug should allow for maximum penetration; the testing done at this class showed the slugs shot through heavy brush with no deflection. So I’m sure you’ll hear more about these DDupleks slugs as time goes on. Hornady rifle ammo received major kudos at this class for its Dangerous Game Series rounds in both .375 Ruger and .375 H&H. Federal’s .454 Casull ammo was used on the firing line as well as a lot of .45 Colts in the .454 guns. It should be noted that as with any firearm use, you are only as good as your training and how much you practice. Obtaining a weapon and ammo and then venturing forth into bear country without training with that firearm is only asking for disaster. 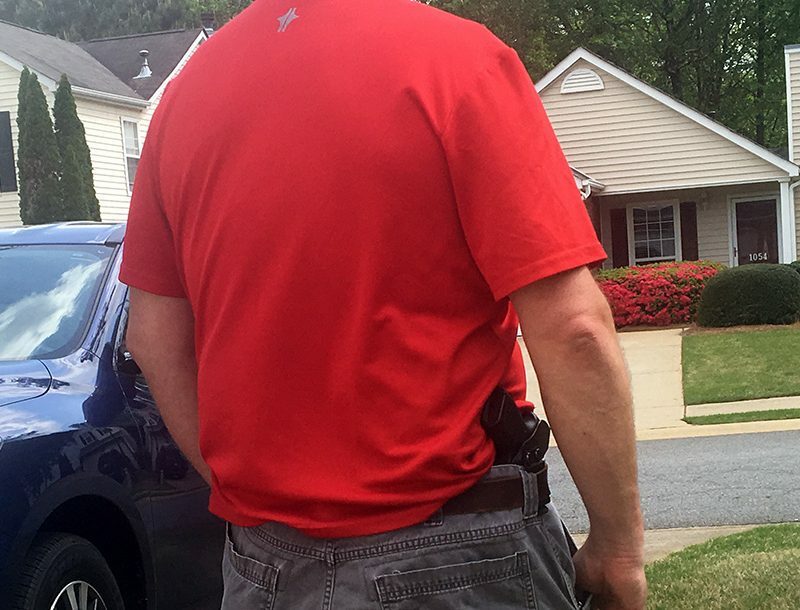 Get the right gun, take a bear-defense-related course and then practice, practice, practice.